The historic village of Goodrich overlooks the Wye valley. The tennis club is situated in Tufts Lane. 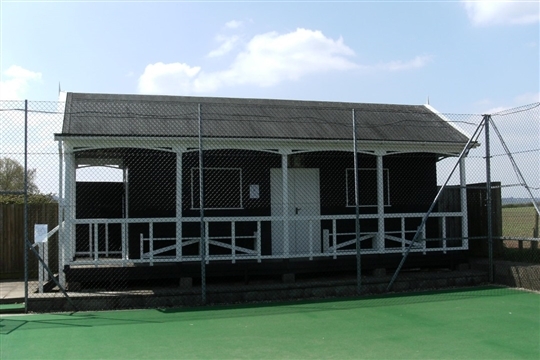 The club boasts two floodlit sand dressed carpet courts and a third tarmac court. In 1921, in the historic village of Goodrich with its moated castle, a group of likeminded people got together to form Goodrich Tennis Club. Initially there were two grass courts with very little run back, a chicken hut for a pavilion, and an Elsan in a shed with the mower if you got caught short. At that time the courts were rented from the Trafford Estate for a peppercorn rent of £2.00 per annum. In 1979, following a meeting held at the local public house (The Hostelrie), between the nephew of John Trafford and members of G.T.C., a sum of money was agreed to purchase the grass courts. At the same time Mr. Harbord the farmer bought the surrounding land from the Trafford Estate. In 1986, after a prolonged period of negotiations, Mr. Harbord agreed to sell the additional land needed to replace the two small grass courts with three full sized all weather courts in exchange for the small piece of land the "chicken hut" pavilion sat on that projected into his field and obstructed his farm machinery. To fund the construction a grant from the Sports Council, along with loans from the L.T.A. and various tennis club members were secured. A grand opening was held on the 4th October that year. There followed an intense period of fund raising, including the setting up of a '100 Club', which eventually paid off the loan. Moving on five years to 1991, floodlights were installed on two of the courts, allowing tennis to be played late into the evening throughout the year. 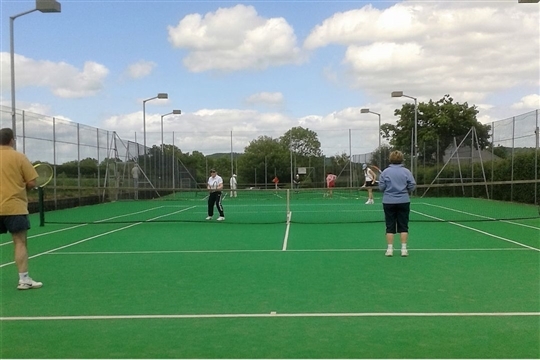 The latest big changes to be implemented at the club have been to replace the two floodlit tarmac courts with sand-dressed carpet, a surface that is kinder on the joints. This was done in 2011 and 2013 respectively.